A small bunch of dried white flowers rests against a backdrop of explosive color atop a 5-inch square of wood. Another square bears a close-up view of a stack of delicate teacups rendered in acrylic paint. And on a third, the word “Beyond” is spelled out in gold glitter across a painted background that conjures a blue sky with puffy white clouds. Apart from their shape and size, these objects could hardly be more different, yet each is an expression of the concept of resilience. 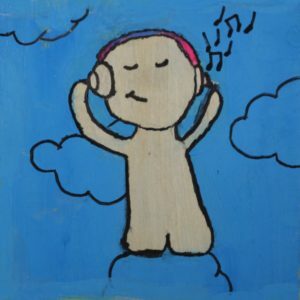 Along with 300 others, they are part of Imagination Squared, an ongoing participatory project taking place at the University of Georgia and throughout the Athens community this fall. 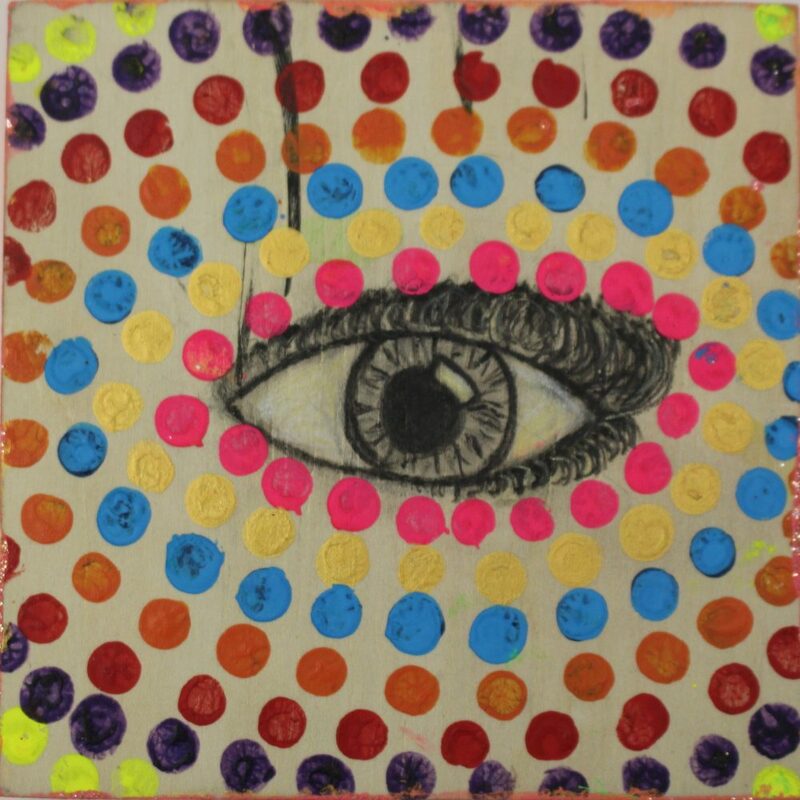 Imagination Squared was conceived and organized by artist Christina Foard, a student in the Master of Fine Arts program in the UGA Lamar Dodd School of Art. Designed to incite community conversations on a common theme, it is supported with funding from the Odum School of Ecology, Office of Sustainability and Willson Center for Humanities and Arts at UGA, as well as the Athens Area Arts Council. 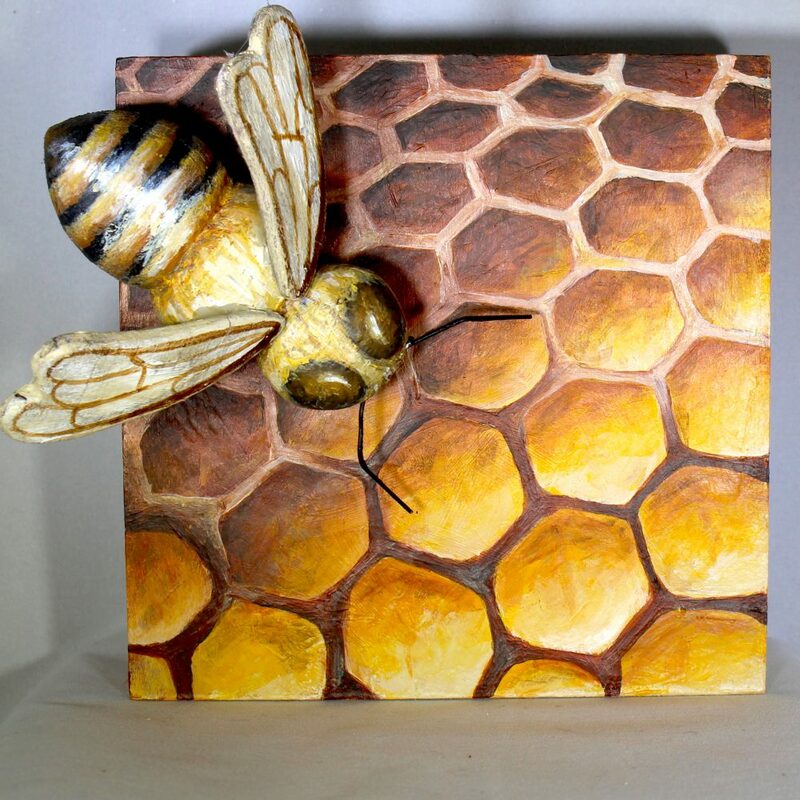 The pilot phase of the project took place during the spring, when Foard distributed hundreds of wooden squares at locations including the art school, the Odum School, and select local middle and high schools. 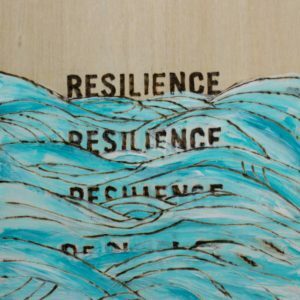 Participants were asked to modify a square to express their thoughts about the meaning of the word “resilience” and return it, along with an optional written statement. 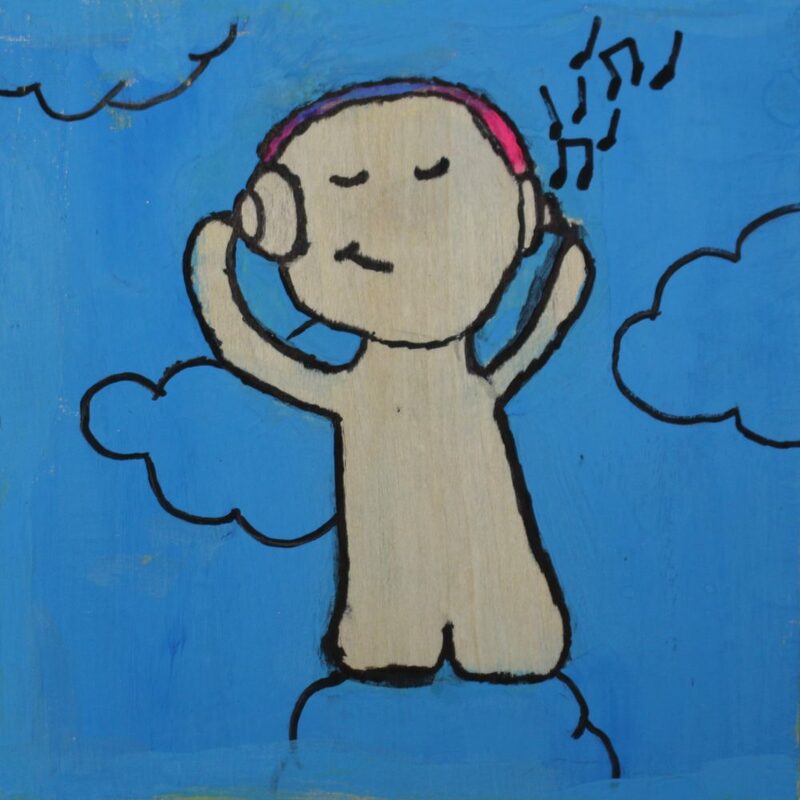 Each square was then photographed and uploaded to the project website, imaginationsquared.org/. Phase two of the project is now underway, with squares available across campus and more Athens locations through Nov. 16. Foard deliberately focused on a theme that has different meanings depending on context. Katie Brownson, a doctoral candidate in integrative conservation and ecology, covered her square with colorful fungus and lichen to talk about ecological resilience. Brownson said she enjoyed thinking about an ecological concept in a new way. “It’s something I’ve never done before, but I like any opportunities to incorporate more creative forms of expression into the way we communicate our science,” she said. That is exactly the kind of experience Foard was hoping to prompt with the project. 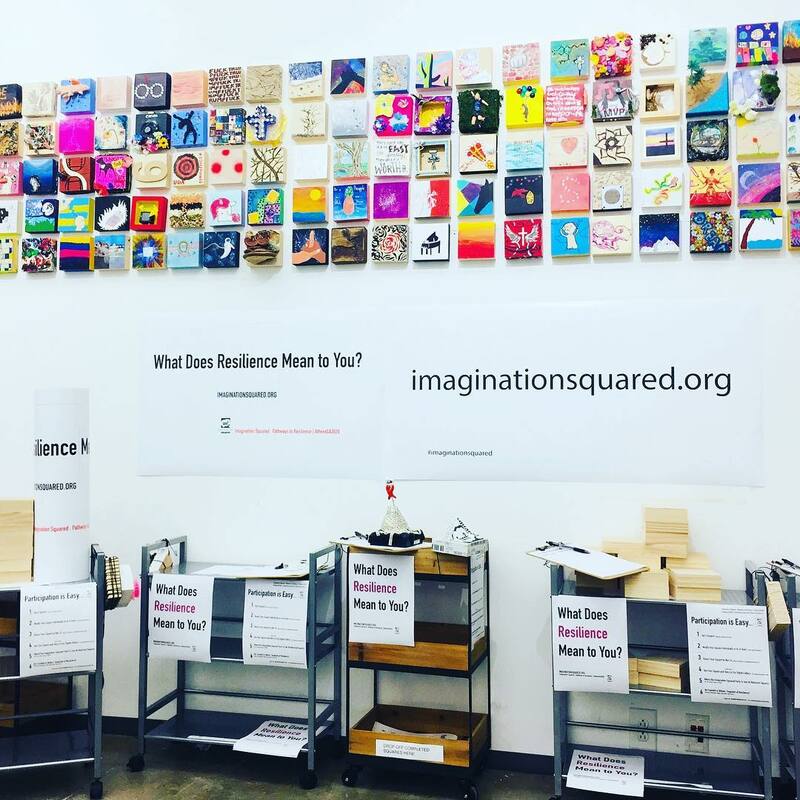 Information about how to participate, including where to find squares, is online at imaginationsquared.org/. 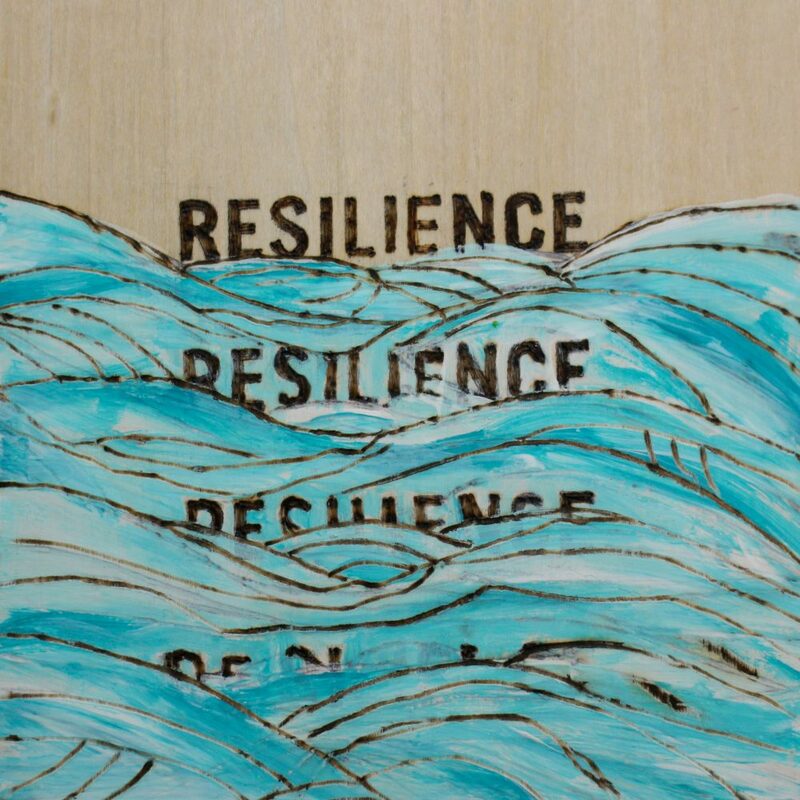 Foard noted that couples, families, small businesses or social groups can work together to modify a square as a team, considering collective interpretations of resilience. 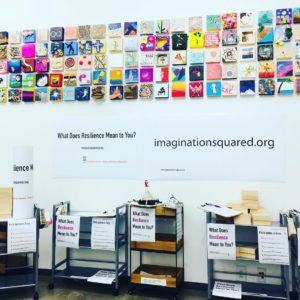 And for those who prefer to express their ideas about resilience in audio format—through music, spoken word or sound recordings—a limited number of audio squares are available upon request. 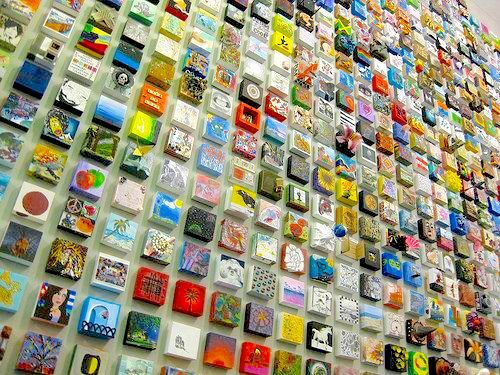 The squares collected to date will be on display in the glass gallery on the third floor of the Lamar Dodd School of Art during the Alliance for the Arts in Research Universities (a2ru) national conference from Nov. 1-3 as part of UGA Spotlight on the Arts, and online at imaginationsquared.org/ and Instagram @imaginationsquared. Imagination Squared will culminate in fall 2020 with an exhibition at the Lyndon House.